When four pampered animals from New York’s Central Park Zoo accidentally find themselves shipwrecked on the exotic Island of Madagascar, they discover it really IS a jungle out there! What do you get if you put four talking animals and chunked them on a deserted island? 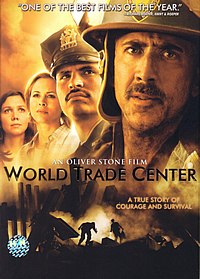 The answer: An over US$500 million gross in the box-office worldwide. 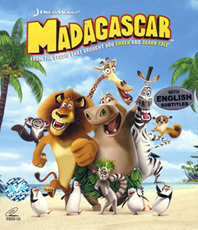 If you are still feeling lost over it, I’m referring to the box-office results of this year animation hit, “Madagascar” from Dreamworks animation who brought you “Shrek”. The story opens promisingly enough in the New York’s central park zoo. Alex the lion (voiced by the rather prolific Ben Stiller) is the star of attraction and a favourite with the visitors. He gets special personal treatment, including personal hair care and luxurious food supplies because of that. And so does his group of friends, Marty the zebra (voiced distinctly by Chris Rock), Melman the Giraffe (David “Friends” Schwimmer) and Gloria the Hippo (Jada Pinkett Smith). A sheltered and carefree life indeed. But there’s one problem though, Marty yearns to explore the world rather being confined and curiosity edges him into escaping the zoo, that’s when the gang gets into a whole lot of trouble. While the whole plotting does not smell of any Oscar’s material, “Madagascar” raises an interesting premise. People are always tempted and eager to cross beyond our boundary, thinking the other side of the grass is greener. But apparently, things might not fare as well as you thought. The character Marty at the end is a good old reflection of us. Since this movie is targeted at the younger crowd, be expected to run into some random techno song/dance routines and a half-heartened unexplored plotline. Besides the main leads, you might find the other supporting characters such as the monkeys and lemurs immensely entertaining and wacky, the penguins especially so (there’s a rumor they are going to have their own movie). So how’s the animation in “Madagascar” you might ask? The rendering is well defined and it’s a colourful world in “Madagascar”, the kids will definitely go wild over this colour palette. This vcd will be a great gift for the little ones and for those accompanying adults, you can always try to explain further liked the “morale” of the story. But seriously, kids from the 21st century are far smarter than we thought. Just leave them alone for 90 minutes of fun and cheap laughs.